However, although many ICOs have genuinely good intentions and wish to use their funding to create innovative new products on the Blockchain, some saw this as an opportunity to quickly exploit individuals with a false promise and exit the market quickly. Hence, navigating this vast new ecosystem successfully and profiting from your findings is no easy feat for the average layman. Additionally, the process of registering and applying for ICO crowd sales is tedious and time-consuming, with cumbersome KYC barriers often putting potential consumers off. Despite this, even if they do decide to make the purchase, management of numerous assets after the fact can become a difficult procedure, with many wallets only offering limited functionality for ICO coins. Astronaut aims to address the trust, accessibility and management issues of Initial Coin Offerings by providing their own ICO index fund token (ASTRO). Essentially, this allows investors to gain exposure to a varied basket of ICOs without needing to undergo the rigorous due diligence needed in order to profit from this emerging market. The index is carefully balanced by industry experts to ensure maximum profits can be acquired at any given time. First, to address the point of trust, Astronaut works under the umbrella company Picolo Research. A well-respected cryptocurrency analysis firm with over 10,000 monthly subscribers. They strive to find the most appealing ICO offerings through in-depth fundamental analysis of notable up and coming firms by a team of highly trained professionals. Their articles are clear and concise as possible to help investors understand why a certain ICO has been added to their weighted index portfolio. Second, in regards to accessibility, ASTRO breaks down industry barriers by buying in bulk from ICOs they wish to add to the index, allowing them to access pre ICO prices and most importantly having the contacts and information to successfully purchase popular projects. This takes the onus off the retail investor and places it in the hands of the well-versed Astronaut team. One merely has to purchase the ASTRO token to gain access to a well researched varied ICO portfolio that is weighted according to market conditions. This universal exposure is often what consumers desire yet simply do not have the time or the resources to pursue. Finally, on the subject of asset management, Astronaut actively monitor their positions and are not afraid to exit them where a particular ICO has not met their projected expectations. This takes the need for investors to continuously monitor their positions out of the equation, which may be of particular interest to long-term holders or newbie investors who are simply not equipped to tackle this extremely volatile emerging market. Being able to quietly participate in a market using an index allows one to gain exposure to a clearly booming sector without all the associated risks. The ASTRO token provides two types of return for its investors. Firstly, users receive quarterly income distributions based on the amount they invest and their exit activity. Secondly, holders gain any token appreciation aligned with the Net Asset Value (NAV) of the index fund. Access to the Astronaut index fund is simple for anyone who has invested in an alt-coin in the past, it can simply be bought online at an exchange under its prefix ASTRO. Whether one decides to include this as part of an already manageable portfolio, under the umbrella of ‘ICOs’ or if they wish to let the company manage the entirety of their portfolio, allocating all funds to ASTRO is completely up to the investor. The former is probably most appropriate with a mix of high cap names such as Bitcoin and Ethereum. Whilst the cryptocurrency market continues to evolve, opportunities to invest in ICOs can provide huge rewards for those who are willing to spend a considerable amount of time researching. Despite this, the risks associated with ICOs can leave naive investors wishing they never entered the market in the first place. For the latter Astronaut provides an easy way to gain access to a well-researched basket of cryptocurrencies without undergoing the due diligence. Definitely, one to consider for those who want to benefit from the ICO boom whilst remaining cautious. The ICO market has seen both the biggest winners and losers in the cryptocurrency marketplace to date, yet picking the winners is no easy feat. ASTRO may provide a safe haven for investors who seek to gain exposure to such a market without the undeniable risks associated. Relying on others to do research for you is often risky business, yet with a sound methodology centred around fundamental analysis and a well-regarded team, the project appears to have great promise. Besides, not all individuals have the time or knowledge to pursue such due diligence on a market which is certainly overwhelming and continuously expanding. For this reason, ASTRO is certainly one to watch as they grow. Founded by members of the renowned Neo blockchain initiative, Ontology aims to revolutionise the business world as we know it. Whilst many blockchain firms seek to specialise in a unique problem, Ontology’s strength lies in the diversity of their approach. In essence, Ontology intends to provide traditional businesses with all the necessary tools to create their own independent blockchains, without the need for prior knowledge of distributed networks. For example, they offer the easy integration of traditional business services such as identity verification, the exchange of sensitive data and protocol management. At current, inadequacies of centralised trust networks mean that such services are vulnerable to insufficient privacy protection, cumbersome identity verification and suffer from monopolisation of data management. Using Ontology, these flaws in the current status quo can be alleviated, by migrating all such desired services to comprehensively more efficient decentralised trust mechanisms, without businesses requiring prior knowledge, whilst meeting organisational needs of all sizes. This has the potential to become a catalyst for removing blockchains high barriers to entry in the business world, ultimately leading to large-scale adoption. For this reason, many institutional investors are extremely excited about the project, as the broad business mindset appeals to their needs. Still in its infancy, with plenty of room to grow, Ontology could pose as a great long-term investment. ‘Co-Builder Plan’, a collaborative effort to advance blockchain infrastructure is supported by some colossal Chinese venture capital firms including Sequoia China, Danhua Capital, Matrix Partners China, and ZhenFund. Although Ontology is still a relatively young project, it has gained widespread support from the blockchain community within a short space of time. This can largely be attributed to the diversity of their approach, which seeks to satisfy the needs of businesses of all shapes and sizes, by providing a universal toolkit that aims to bridge the gap between the inadequate status quo and the decentralised future. Hence, Ontology largely appeals to the business mindset by removing the high barriers to entry that blockchain often imposes and ultimately allowing for large-scale adoption. Such a business model, coupled with their nepotistic foundation and their soon to be released projects, suggests that Ontology has a great future ahead of them. Over the coming months, it will become clear whether the project can live up to its prosperous beginnings, although with such prominent Chinese venture capitalists supporting the project, you may want to believe the hype. Currently, one of the main barriers to adoption in the blockchain industry is scalability. Although innovative market leaders such as Ethereum have allowed for the creation of decentralised applications that utilise smart contracts, their usability on a large scale is severely limited. This is the result of the Proof of Work (PoW) model, where all nodes within the network have to agree on a single transaction in order for it to be added to the Blockchain. EOS aims to solve this problem by creating a unique Proof of Stake (PoS) model which should scale to handle millions of transactions per second. EOS’s focus on scalability stems from the belief that in order for the space to receive mainstream adoption, robust enterprise applications need to be able to function as they do in our current world. Without such an ability, DApps use cases can be viewed as limited and almost novel. However, as with any groundbreaking technology, finding ways to solve fundamental problems takes time, EOS focus on this key issue could set them apart from the multitude of platforms currently in the market. Additionally, unlike many other platforms, EOS lets users utilise the DApps created on their Blockchain without needing to spend unnecessary funds on transaction fees. 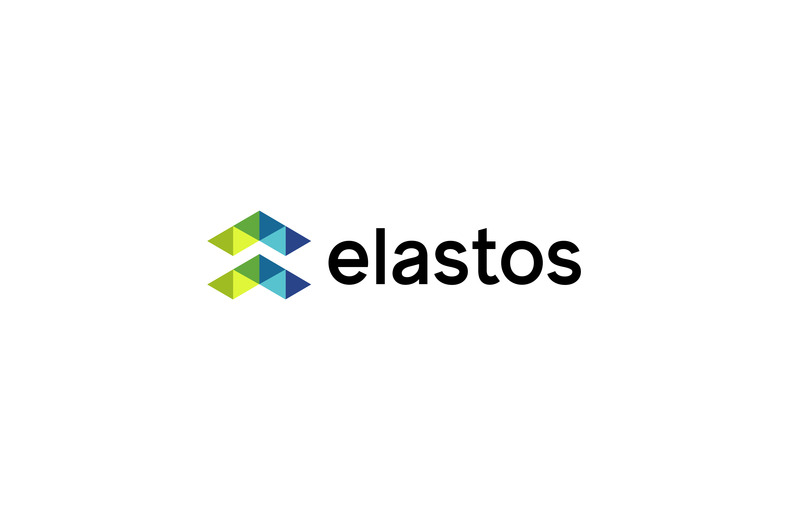 This is achieved by allowing users to spend transactions proportionally to the amount of EOS they hold, a feature built into the Proof of Stake (PoS) consensus algorithm. Ultimately, this permits users to use applications without the need for spending tokens unless they are purchasing a product or service, as familiar in the traditional App market. This link between the current status quo and what the future holds could provide Blockchain technology with the bridge it needs to attract the masses. 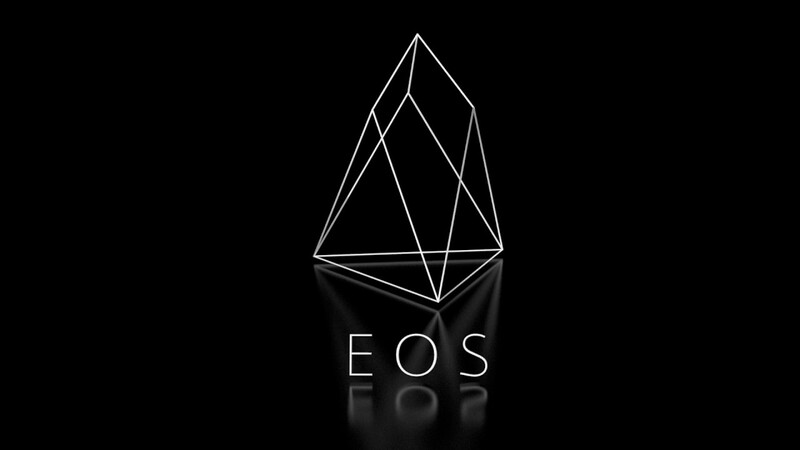 Additionally, EOS’s PoS model avoids the need for cumbersome widespread consensus to be achieved in order for upgrades or edits to the main system or DApps themselves, as seen in the PoW model. Some may argue that this is a key feature in the security of a distributed network, despite this, however, the current PoW algorithm suffers from slow bureaucratic proceedings. Innovations such as these are rare and although PoS may not be the final solution, constantly progressing towards technological perfection is certainly admirable. For the proposed reasons, EOS appears to have a keen vision for what the future Blockchain space may hold, and being a market leader in the unique PoS model provides them with a distinct market advantage. With the launch of their independent Blockchain already in use, it will be interesting to see the progression of projects developed on the EOS platform over the coming year. Certainly, one not to miss before it goes mainstream. EOS could just be what Blockchain needs to push DApps into the mainstream market. Boasting a million transactions per second, accompanied by zero fees, this platform should be both scalable and usable for the masses. Questions of whether the PoS consensus algorithm is secure enough to be immutably trusted certainly remains to be seen, but without such innovations and a real-world testnet, no one will ever know, and large-scale adoption would likely remain stagnant. Having the guts to be the first to pursue such an end goal shows strength in vision. Thus, if EOS manage to prove their critics wrong, they could become the market leader in the platform ecosystem. The coming year will surely determine this fate, so be sure to keep an eye on such an opportunity.